View cart “Satisfied by Him” has been added to your cart. The creative influences on Richie began when his mother introduced him at an early age to not only Broadway musicals, but also a wide variety singing celebrities from Hollywood’s golden era: Mario Lanza, Gene Kelly, Fred Astaire, Frank Sinatra, Dean Martin, and Danny Kaye. Then, when Richie began seeking out music for himself, he quickly identified with the easy listening sounds popularized in the ‛70s/’80s by Barry Manilow, Neil Diamond, Lionel Richie, Billy Joel, and a variety of legendary bands/artists, some reaching back to the folk music of the ‛60s. Richie’s vision for his songs (usually heartfelt ballads) is to touch the soul and help people connect with their deepest emotions, as well as with God―and by doing so. . . . heal their heart-wounds. In this way, Richie hopes to make the world a better place; one heart at a time. Actor, singer, dancer, songwriter, director, choreographer, award-winning author. . . . Richie is a true renaissance man. His career began at the age of thirteen with dance classes in Rockford, Illinois. Within five years he was singing in Nashville with various country music stars. And by twenty he had moved to New York, where he was cast in the national/international touring companies of A Chorus Line, in Dreamgirls on Broadway, and in the Off-Broadway revival of Pacific Overtures. He was then featured on TV in several commercials, eventually going on to star in an ABC Afterschool Special and PBS special. 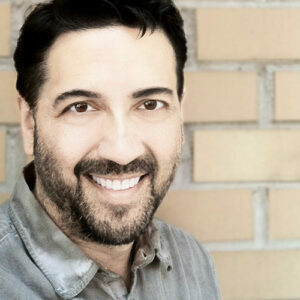 Recently, Richie has again been making his mark on NYC stages in Song of Solomon (Andrew Beall & Neil Van Leeuwen); Yes! The Musical (The Duke Ellington Center for the Arts), Pearl: The Musical (based on Pearl Bailey’s life, directed by Tony Award winner, Ben Harney), and with the Roger Simon Acting Studio. In the music realm, Richie has produced two albums: Hold On and Everlasting Love. His favorite tracks from these albums comprise his newest CD, There Is A God. He has also served as worship leader for many churches, including Saddleback Church (senior pastor, Rick Warren), where he was on staff as Creative Arts Director. 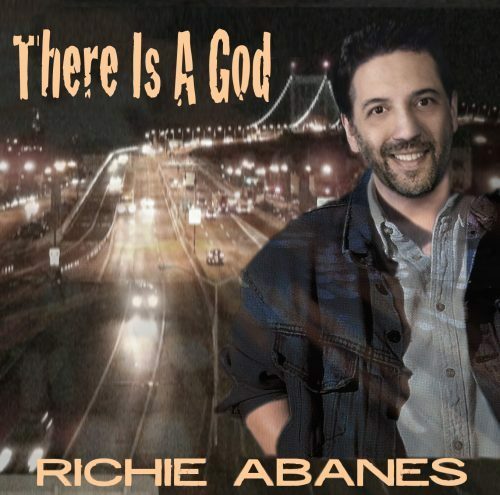 The songs are mostly ballads featuring Abanes' wonderful and unique tenor over full, rich orchestrations . . . . Abanes' smooth, light voice soars easily, and the words are carefully crafted to tell each song's story.
. . . bound to soothe, heal, and inspire listeners. This CD has much value for those who are 'hooked on Jesus' as well as those who are open to it. A truly inspirational CD that assures us of God's unconditional love and nearness to us, especially in times of suffering or sadness. Abanes is pure musical genius. Insightful lyrics coupled with intoxicating melodies that reach deep into the soul. There Is A God is filled with such a refreshing passion for life and faith, that it will inspire any soul upon first hearing. . . . [H]is catchy compositions will stick in your head for days. 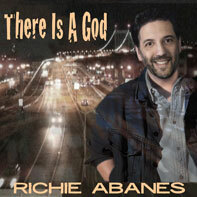 Newly re-mastered, you can now enjoy Richie's new harmonies, lush orchestration, and classic voice.
. . . one of the best music CDs I've heard in my entire life. . . . speaks of real life situations and circumstances that does not make sense to the natural mind. It encourages you to look away from what you know, and consider what God says.